Posted on January 31, 2018 by Norwich Radical	in Arts and tagged appropriation, author, blindness, collection, featured, female, illness, literature, male, paul terence carney, poem, poetry, point of view, retinitis pigmentosa, review, Roisin, speaking, ventriloquism, voice. I was told that The Empty Horizon was a sequence of poems written in the voice of Roisin, a writer and illustrator of children’s books who is losing her sight due to the genetic condition Retinitis Pigmentosa. Initially, I wondered why – if Rosin is a writer – why she could not write these poems herself. Although it seems obvious that there is a mutual relationship established, why should a man tell the story of a woman who is a writer, and thus capable of writing it herself? Although losing her sight, as a writer, would it not be better to tell her own story through her own spoken words, rather than Carney being the author of this text? Yes, I can comment of the poetic quality and how well it performs as literature, and it may be exemplar of good literature, but does it have the authenticity of it being a product of Roisin herself? Before the poems, in the introduction we are told of the strange situation, where Carney describe her living in a house as a slave. As modern slavery is increasingly becoming uncovered, this is not something to be taken lightly. That said, there is still a question surrounding why Carney chose to adopt a woman’s voice for this collection. In the notes to the poems, we discover that Carney and Roisin both have the same condition. Carney draws parallels between himself and Roisin in the opening poem, describing the ‘bananas of migrainous light’ they both experience. Looking at the notes, there is a lot of scorn towards those who ‘skin up… and leer at a Mona Lisa with a spliff, smirking high / above the fireplace’. It is difficult to know how much of these words are Roisin and how much are Carney. However, it comes to light that Roisin is actually a fictitious character. Perhaps my being fooled to thinking she is a real person suggests how good the writing is, or something about how we tend to read poetry as truth. That said, there is still a question surrounding why Carney chose to adopt a woman’s voice for this collection. It is important to think of how successful the author has been in capturing the voice of Roisin, seeing as the collection is written in the first person. Whilst I wonder if this was necessary, it does allow you to become engrossed in the text, and allows you to forget that these are not the direct words of Roisin. At first I presumed they were crafted from conversations with her, but as she does not exist, I wonder how much of this is actually about Carney, and how much is imagined. They haven’t even met and he is already assuming he’d get so fed up he’d have an affair. Prince Charming. I can only assume that these words echo the fears of Carney himself, and I can’t help but wonder how we might read these poems differently if they were in his own voice. To read a collection of poems where a man expresses his vulnerabilities and desire to be loved would a welcome future collection from Carney. The poems are all very sensory, and their imagery suggests words as a replacement for fading vision: ‘I feel my flesh / against the cragscape of its bark.’ In ‘An Hour from the River’ she imagines being with ‘you’ (Brian, we can assume) as he describes the view from the tree she cannot climb. In ‘Roisin’s dream of escape’, we get the title reference ‘Not another glance / at the empty horizon’ and we again question whether this is hope for her. There are many references to birds throughout the collection, perhaps symbolising this hope for escape, and Roisin’s feeling of being trapped. In one poem, she tries to draw, but laughs ‘because the marks that I have made / are not like swans, or anything.’ As well as her disappearing sight, there’s also a sense of her becoming invisible to others, ‘taking on the colour of the walls’. Other than the sense of Roisin’s longing, the potentially troublesome issue of modern slavery could also be explored more deeply in the collection. It is relatively short, perhaps it could be fleshed out even more in order to get a better feeling of her relationship with the people with whom she is living. To conclude, other than the questions raised on Carney taking on a woman’s voice, The Empty Horizon immerses you into Roisin’s world, and the poetry is undeniably beautiful. 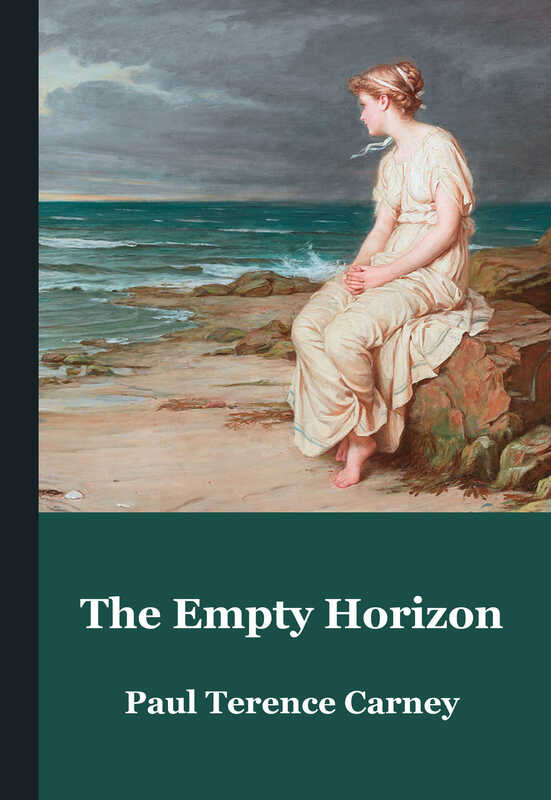 The Empty Horizon is available from Live Canon.